Cream Cheese Frosting made with just 5 ingredients is rich and creamy, PERFECT for cakes or cupcakes, and ready in under 10 minutes! 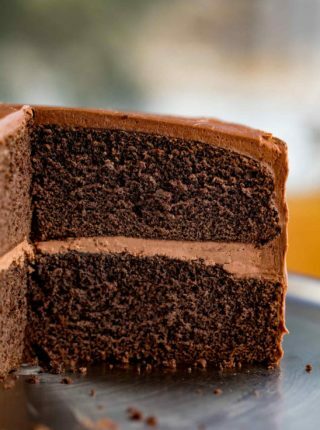 We love putting together sweet desserts, and nothing tops them better than this Easy Whipped Cream, Chocolate Frosting, or Chocolate Ganache. 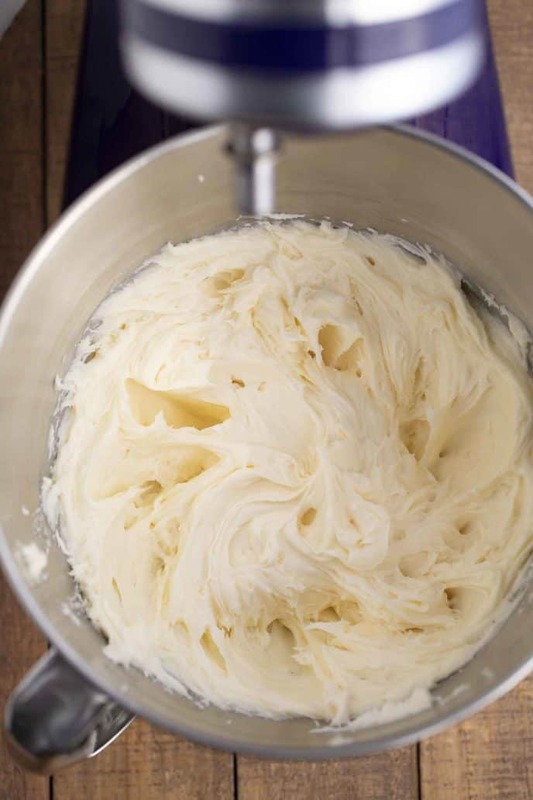 Cream Cheese Frosting is my go-to frosting recipe whenever I’m making a cake or cupcakes for a special event, like a birthday. In my opinion, it’s more mild and lighter than buttercream, and incredibly EASY to throw together, so you can make as much or as little as you need. 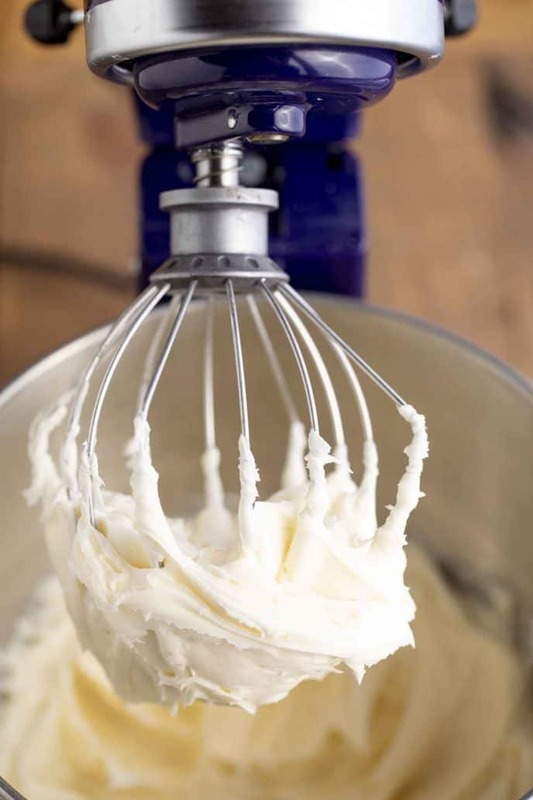 This cream cheese frosting recipe uses sour cream, which adds a really creamy texture, while the tangy flavor compliments the sweetness of the frosting. This frosting is perfect for piping onto cupcakes, or spreading onto a cake before adding fondant. If your cream cheese frosting turns out runny, it may be over-mixed. Try folding in more powdered sugar, a few tablespoons at a time, until the frosting thickens up. You can also add a tablespoon of corn starch to the frosting to stiffen it. Another reason may be that the cream cheese frosting is too warm. Return the frosting to the refrigerator, because the cream cheese and butter will harden as they cool. WHY IS MY CREAM CHEESE FROSTING LUMPY? 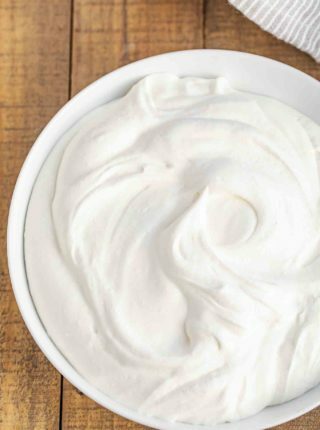 It is absolutely essential to beat the cream cheese, butter, vanilla, and sour cream together before adding the sugar, and to make sure they’re at room temperature before you start. If the it’s too cold, or the sugar is added too early, the frosting will be lumpy. 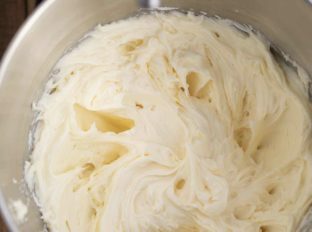 You can also start by just creaming the butter by itself, then adding the cream cheese, then the sour cream and vanilla, to ensure everything is as smooth as possible. You need to have a really good mixture to smooth out the cream cheese to keep the powdered sugar from forming lumps. If your frosting is lumpy, you can try pushing it through a strainer to remove the lumps. Or microwaving and stirring it at 30 second increments to melt them, then refrigerating to help the frosting harden again, and beating it one more time. This is not ideal and the texture will be off, but it is a last resort. This is a dairy-based frosting, so it must be stored in the refrigerator. Take it out of the refrigerator about an hour before you’re ready to use it, to soften the frosting enough to work with again. Cream cheese frosting will last 3-4 days. CAN I FREEZE CREAM CHEESE FROSTING? I usually don’t recommend freezing dairy products, but cream cheese frosting contains enough sugar (like ice cream) that you can actually make this up to a month ahead of time and freeze it. When you’re ready to bake, defrost in the refrigerator the day before. You can also completely decorate your cake and freeze it until you’re ready. Just freeze the whole cake for about an hour to harden the frosting, then take it out and wrap it tightly with plastic wrap and tinfoil to keep it from getting freezer burn. Remove the plastic wrap when you’re ready to defrost. HOW LONG CAN YOU KEEP CREAM CHEESE FROSTING AT ROOM TEMPERATURE? 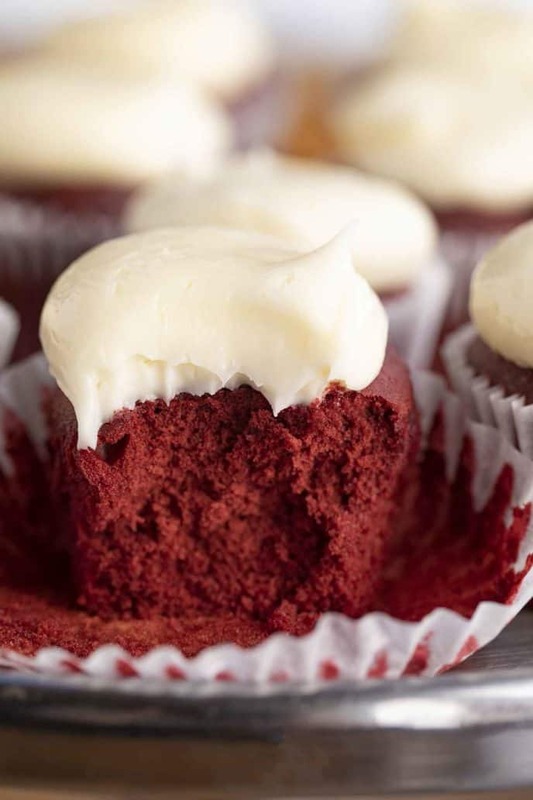 Some people argue that cream cheese frosting contains enough sugar to last a few hours at room temperature, but I wouldn’t risk it when it comes to food safety. Stick to the 2 hour rule when it comes to dairy based frosting. WHAT GOES WITH THIS CREAM CHEESE FROSTING RECIPE? I’ve made this recipe using full fat cream cheese and with lower fat Neufchatel cheese, which is a lot like cream cheese. You can use either depending on your preference. I wouldn’t use completely fat free, because the texture would not turn out right and it won’t be as spreadable without the fat. This classic cream cheese frosting is perfect for carrot cake, banana cake, red velvet cake, and more. I always make frosting with unsalted butter because you can’t always control the amount of salt in the stick, which can taste off in a frosting. This frosting recipe uses vanilla extract, but you can change that depending on what type of cake you’re making. Try peppermint extract for the holidays, or lemon extract for lemon cookies. 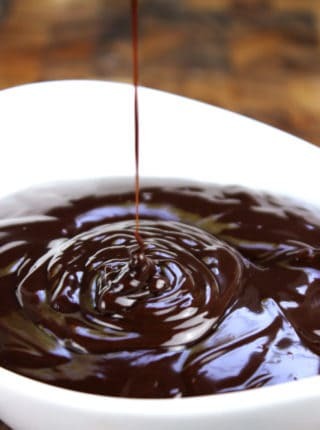 If your frosting turns out too sweet, try adding a pinch of salt to balance the sweetness, or a teaspoon of lemon juice. 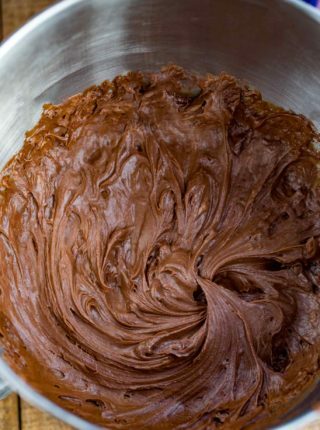 Over-mixing the frosting can cause it to have a sticky texture or too much stiffness. Add the cream cheese, butter, sour cream and vanilla to a stand mixer and beat until light and fluffy then add in the powdered sugar one cup at a time until smooth and incorporated. I would just leave it out and add more cream cheese to make up for it. Hope this helps! cream cheese frosting is the best option for cakes! I wouldnt use any other kind. this is creamy and delicious! The texture of this frosting is absolutely perfect! I could eat it with a spoon! yum! you can’t beat a tried and true go to cream cheese frosting recipe!! It’s great to have one you can trust, for sure! Cream cheese frosting is the best!! It’s so creamy & perfect on so many desserts! You’re speaking my love language! This was amazing!